A statement similar to the last example of course has never actually been made by any student. 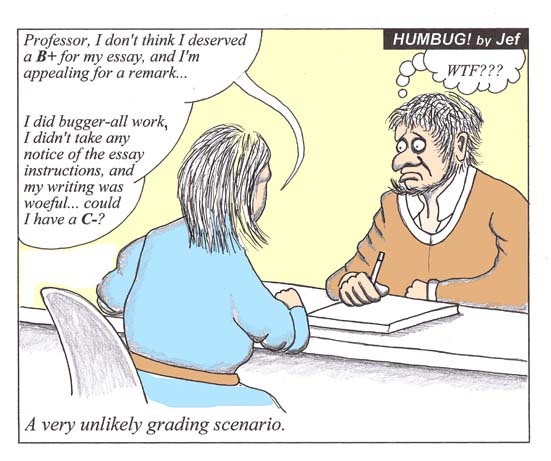 But I hope this scenario actually happens sometimes... the unendurable dissonance of righteous indignation, frustration and guilt which would be experienced by the plagiarist is a pleasure to contemplate. Tagged - Fallacy, non sequitur.